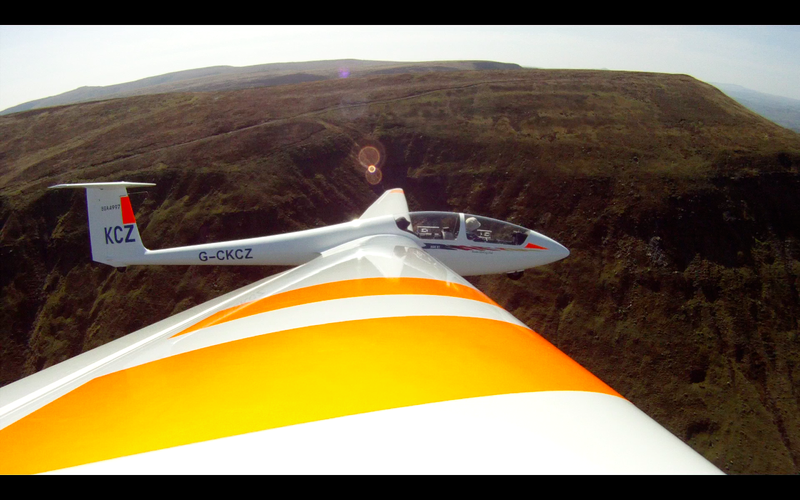 Yesterday the light NWly produced lift along the NW ridge, which combined with thermals kicking off the top made for an exciting day, particularly with the number of gliders having fun. Good look out was essential! Simon P found that his training came in handy when FZA's ASI packed up on tow and he had to land without it, which he managed without incident. Wednesday was another surprisingly summery day so after a quick look at the ridge the team went boating. No shipwrecks but a couple of groundings, since the river is quite low. This was followed by a very welcome afternoon tea at the River Cafe, Glasbury (lemon tart recommended). And for those of you who don't believe the tales of easterly wave, here's a pic from Sunday, Richard in 2A somewhere over the Black Mountains. Another beautiful morning at Talgarth and KCZ is about to go and explore the Northern ridge. We took advanage of the calm conditions with some early morning RC Cub flying. Symeon made an excellent job of flying the Cub around and his request to "do a loop from here" seemed harmless enough at the time. Those of you sitting at home looking at the blue sky and the chart showing light easterlies will have spotted the fact that this is the perfect synoptic for easterly wave. So far the wave has appeared reliably every day. 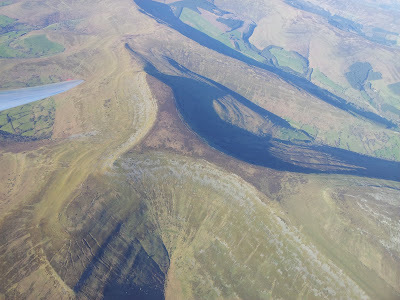 The reason we have not reported on our exploits is that there has been no time, we have been too busy exploring and enjoying fantastic views of this amazing landscape from 8000ft. 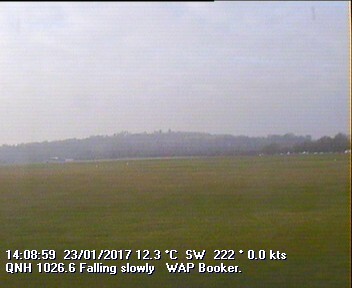 We've done so much flying that our CFI has declared tomorrow a rest day so that we are rested and ready for when the wind turns westerly and we switch to ridge running. Here are some pics of what you have missed. There was also a small birthday celebration which included a spectacular cake. No hangovers were involved. 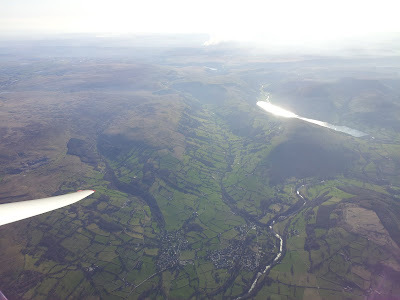 The high pressure persists and whilst not ideal for cross country soaring is still providing lots of good weather to get yourself ready for the season. Now is the time to ensure you are fully current and if relevant check that all is OK with your glider. Over the weekend, several people arrived for Denis' excellent FOG lecture on 'Achieving Your Goals in Gliding' and then stayed on to put some of the ideas into practice. Monday saw a mini grid lined up ready for the day! And what's happening at Talgarth? 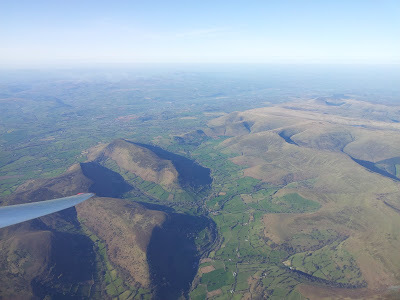 - rumours are that they have been flying in easterly wave to 7,000 feet and that a few people had hangovers following celebrating a certain members birthday! Perhaps they would like to comment on the truth or otherwise of these rumours. NPT. Geoff T, John H, David F, and possibly others I didn't see all had a good time too. Let's hope this augurs well for the season. This morning about 20 club members attended William Parker's lecture on field landings and gliding safety. There were lots of observations and questions. After the lecture a number stayed on to share past experience and discuss the challenges and finer points of picking fields. 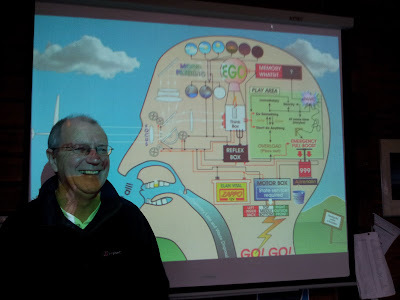 The lecture also included a demonstration of the new Booker Gliding Club brain mapping system that will be available for pilots to use prior to a flight. This equipment is now available for use in the briefing room. As the photo shows, William bravely volunteered to show us all how it worked. 7 day operation got away to a great start with our first course member enjoying a rough but soarable first day of their course under good streets to 4,000ft. The strong north westerly (330 degrees, 19kts gusting 28kts) was enough to encourage the Duo Discus and K21 out to the ridge early in the day. In the afternoon, Jim White and John Herman set off to the ridge but the sky looked too inviting so a task was set for Bicester to see what they were up to. Keep an eye on the weather forecast for those good soaring days, typically after the passage of a cold front, as from Monday 5 March the club goes back to a 7 day week. 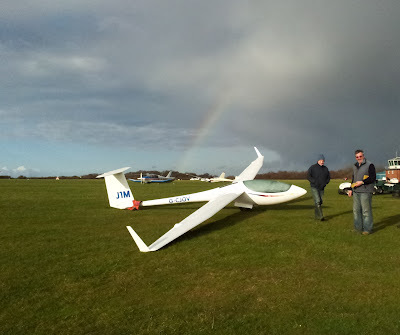 After a wet morning the members made good use of the unstable air for soaring flights. 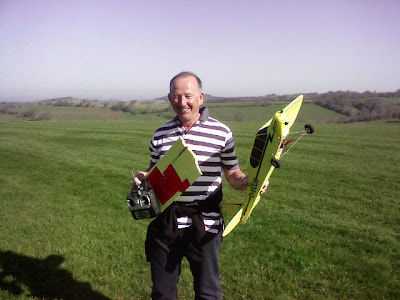 and the aerobatics course had fun too. 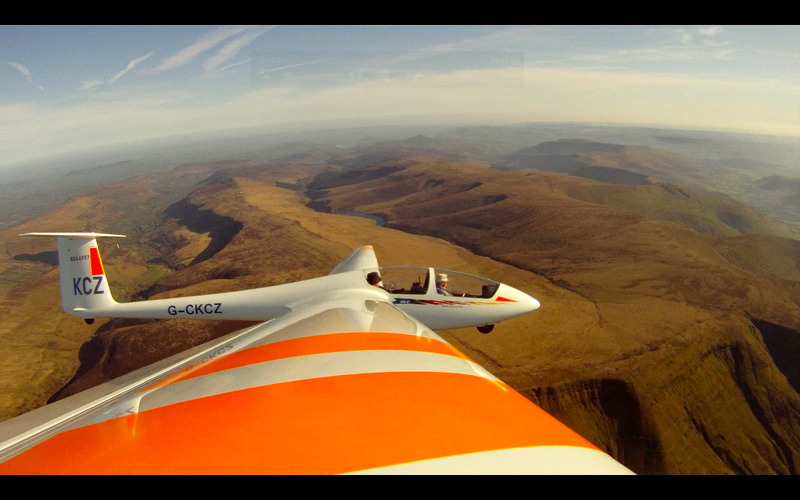 A heavy hail shower provided an excuse for a tea break, then back out for more flying. Jim found his newly refinished ASW27 at the end of the rainbow. The day finished with a well attended AGM with plenty of positive reports about the club and its future. Many thanks to the Committee for all their hard work, and the many members who give their time for their club.